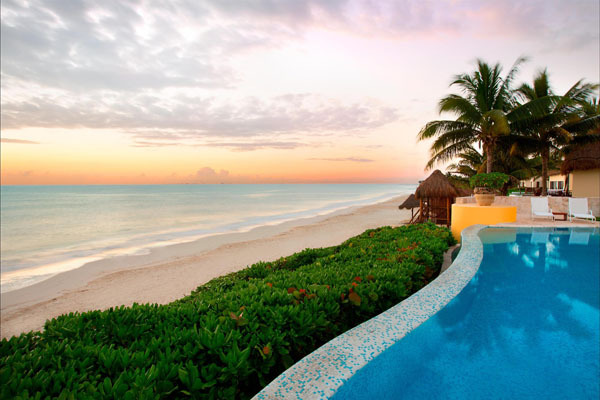 Winter is here in many parts of the continental U.S., but on the Caribbean Coast of Mexico’s Yucatán Peninsula, there is a beautiful stretch of paradise known as Riviera Maya, which is warm, and sunny. In the heart of its pristine mangroves, surrounded by placid natural lagoons and crystal clear waterways, lies the Fairmont Mayakoba. This luxury AAA 5-Diamond resort is tucked into 240 acres of sun-drenched delight, making it the perfect destination for rest, relaxation, and reflection. 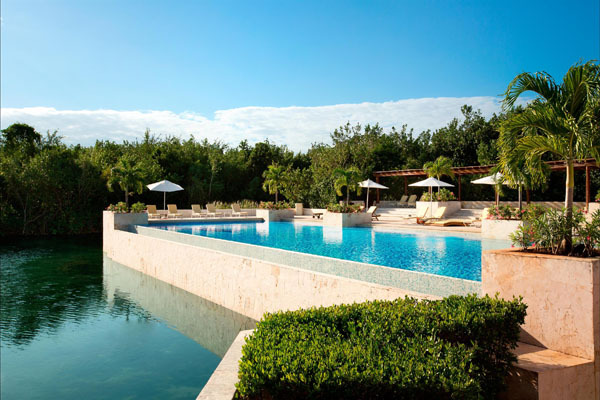 Fairmont Mayakoba is approximately 40 miles south of Cancun, near the town of Playa del Carmen. Visitors fly into Cancun International Airport, and can take advantage of private transfer options arranged through the resort’s concierge. Opened in 2006, the resort boasts 401 rooms of distinction, the Willow Stream Spa, a secluded beach, nature trails, and award-winning restaurants and lounges. Guest rooms, casitas, and suites all snugly nestled in a tropical forest and surrounded by the calm waters of lush lagoons, with private suites stretching out to the pristine white beach. Dining options include exquisite culinary fare created by renowned chef Richard Sandoval at four recently renovated restaurants. 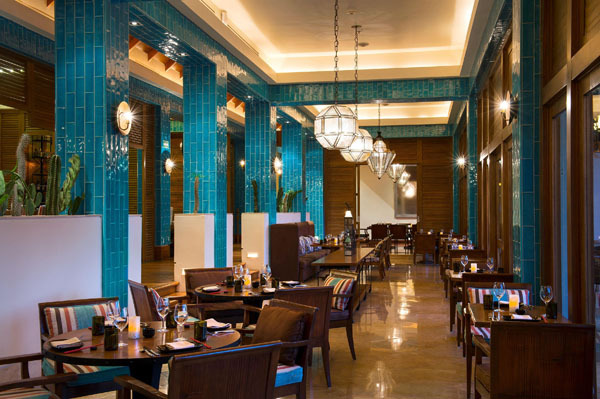 El Puerto offers a tempting fusion of Latin-Asian cuisine, Brisas reinterprets Coastal Latin fare, and La Laguna offers a modern Mexican menu and an extensive tequila bar, while the Lobby Lounge menu features small plates and appetizers. 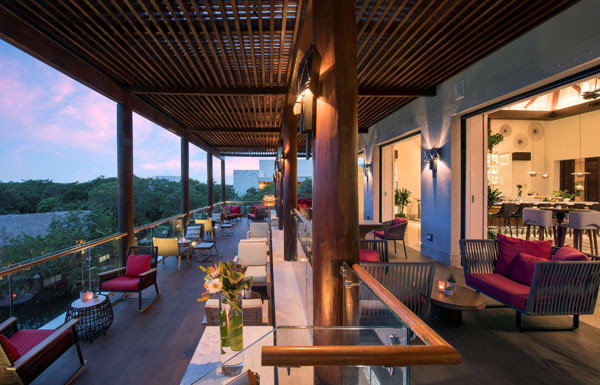 Guests also have options including aqua pool bars, Café Maya gourmet coffee shop, El Cafecito by Fairmont snack shop and 24 hour in-room dining. On-site activities include guided boat tours to explore local wildlife, five freshwater pools, tennis and paddle courts, and a guided catamaran tour. Off-site, Riviera Maya boasts the world’s second largest coral reef, perfect for snorkeling and scuba diving. Guests can also enjoy underwater cenotes – luminous caverns once a source of fresh water for the Mayans, visit the Mayan ruins at Tulum, Coba or Chichen Itzá, or take an excursion to Sian Ka’an. Golfers can play the nearby Greg Norman-designed El Camaleón course, a PGA Tour site for the OHL Classic at Mayakoba. The Xcaret Theme Park is about 40 minutes away, while nearby Playa del Carmen provides an exuberant nightlife. One of the resort’s most popular amenities is the 20,000 square foot Willow Stream Spa and Fitness Center. Guests receive services in one of 20 treatment rooms including a couple’s suite in the treetops, along with two mineral pools and steam rooms. The rooftop features a signature vitality pool and a sea-mineral soaking pool. 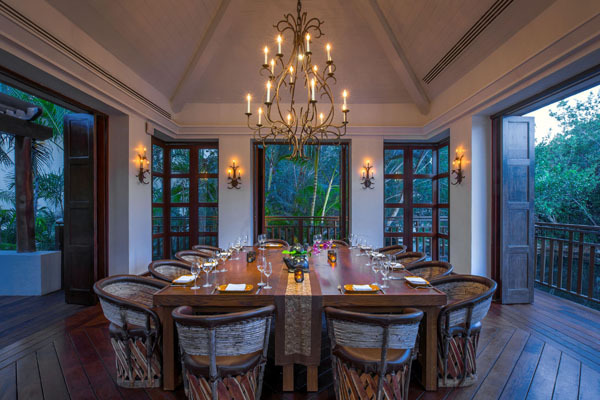 Some services incorporate indigenous ingredients, as well as Mayan-inspired signature experiences. Rejuvenation is the goal with treatments including the Cha Chac Rain Ritual, Mayan Clay Purification, Mayan Bath Ritual, Papaya Body Illumination, or Sun Worshipper Skin Quencher. The Chocolate, Food of the Gods experience includes a cacao body wrap, scalp massage, and massage application of pure coconut oil and rose essence. The weather in Riviera Maya is usually quite warm with high humidity and about 300 days of sunshine. The rainy season runs from May through November. The period from late November through February is the ideal time to visit, as heat and humidity can be expected to be at their lowest. The high seasons for visiting are focused around March/April, July/August and Christmas/New Year’s, with the low season in September and October. 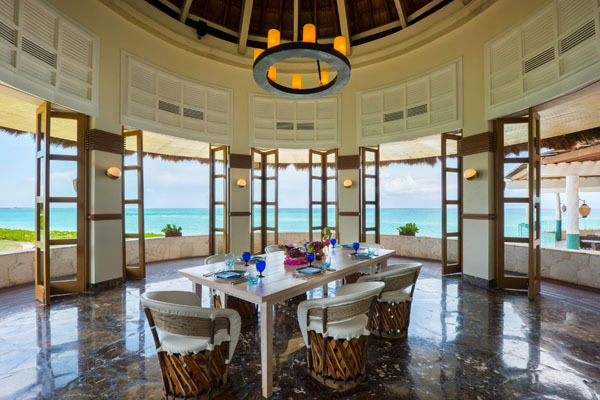 No matter when one decides to stay at the Fairmont Mayakoba it will surely be a vacation to remember.